Award-winning Author, Journalist, and Academy Fellow Peter Hoffmann passed away on April 18, 2014. We are deeply saddened by his passing. His cutting-edge research on the developing hydrogen economy has been essential to the work of the World Business Academy. His latest book, Tomorrow’s Energy: Hydrogen, Fuel Cells, and the Prospects for a Cleaner Planet, from The MIT Press, is a perfect example of the passion Mr. Hoffmann brought to an often-dry and technical subject. He explained the possibility hydrogen has for recreating our planetary fuel system and enabling a world of abundant, renewable energy. Peter Hoffmann, a former Washington and foreign correspondent for a major business and technology news service, McGraw-Hill World News, wrote about hydrogen energy since the first oil crisis of 1973. From the late ’60s to the early ’80s he was stationed in Bonn, Germany from where he also covered what was then communist Central Europe, eventually as deputy bureau chief. In between he was bureau chief for four years (1970-74) in Milan, Italy. His articles on hydrogen energy have appeared in Business Week, The Washington Post, the Friends of the Earth magazine Not Man Apart, Germany’s GEO, Britain’s Financial Times European Energy Report, Italy’s Ambiente, and McGraw-Hill’s Chemical Engineering and Chemical Week. He contributed the “hydrogen” entry to the 1986 New Book of Knowledge, a Grolier encyclopedia for young people. Peter and Sarah Hoffmann – she is H&FCL’s business manager – translated a seminal hydrogen energy book, Hydrogen as an Energy Carrier (Carl-Jochen Winter, Joachim Nitsch, editors – Springer Verlag, 1988, New York, Berlin), as well as several other books from German to English. Hoffmann’s 1981 book, The Forever Fuel – The Story of Hydrogen, published by Westview Press, was called, “the book on the subject” by Kirkus Review. An extensively updated version, Tomorrow’s Energy: Hydrogen, Fuel Cells, and the Prospects for a Cleaner Planet (Foreword by Sen. Tom Harkin, D-IA), was published in September 2001 by MIT Press; a soft-cover version came out in 2002. The November/December 2001 issue of Foreign Affairs magazine said in its review, “this book has everything the reader needs to know about hydrogen — its discovery, the numerous attempts to use it as a fuel, its (quite good) safety record, and the practical and economic difficulties that must be overcome if hydrogen is to realize its potential as a nonpolluting, non-carbon-emitting fuel.” A New Scientist review said, “it clearly expounds the key issues surrounding hydrogen energy.” Chemical & Engineering News commented, “Peter Hoffmann discusses hydrogen and fuel cells – a key technology that is driving forward a hydrogen economy – with clarity and a light touch.” Translations have been published in Korea, Italy and, in 2009, in Arabic by a Beirut publisher with support from the Dubai-based Mohammed Bin Rashid Al Maktoum Foundation. 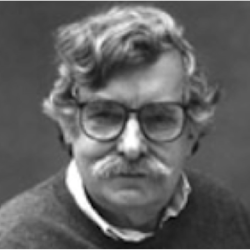 Peter Hoffmann’s The Hydrogen & Fuel Cell Letter, the voice of the international hydrogen community, had been published continuously since 1986. It covered the science, business, economics, and politics of hydrogen and fuel cells – nationally and internationally. At the 2012 world conference of the International Association for Hydrogen Energy in Toronto, Hoffmann was awarded the title of IAHE Fellow for his “distinguished and sustained efforts” on behalf of the Hydrogen Economy. In 2005, the National Hydrogen Association honored Hoffmann with the Robert M. Zweig Public Education Award for publishing “the oldest, continuously published news source of its kind,” the second such honor (in 1997, NHA presented its Public Education Award to H&FCL). And the German Hydrogen and Fuel Cells Association (DWV) has called The Hydrogen & Fuel Cell Letter the “best specialized publication in the field worldwide,” on its German-language website. To read more about Peter Hoffmann, visit his personal site.